All our degree programmes offer students two statutory social work placements. They provide opportunities to apply and develop your knowledge, skills and values in a practice setting that will provide experience of statutory social work. Placements provide you with the opportunity to work towards meeting the requirements of the Professional Capabilities Framework and the Knowledge and Skills Statements. Students undertake a 70 day placement followed by a 100 day placement; students at York University also complete a 30 day placement in a non-statutory work setting. We recognise the value of gaining experience of working with community based private, voluntary and independent organisations. Therefore we look to include some placement opportunities where these involve statutory social work tasks. For more information about social work placements see our FAQs. Read about 2 student’s placement experiences in our case studies for University of York/North Yorkshire Council and University of Huddersfield/Calderdale Council. Placements are jointly arranged by our university placement leads and Practice Educator Consultants (PECs) to best support students’ identified learning and development needs. 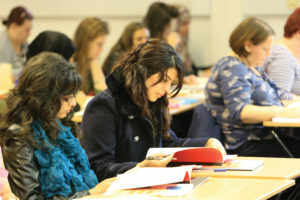 All students will receive a comprehensive induction and will be supported throughout placement by a Practice Educator. In addition support is offered by a range of staff especially PECs, work based supervisors and local authority workforce development teams. Start your journey today, see our social work degree pathway. Watch the films to hear from some of our current Social Workers on why they chose the profession, their experiences of studying and working in the partnership.